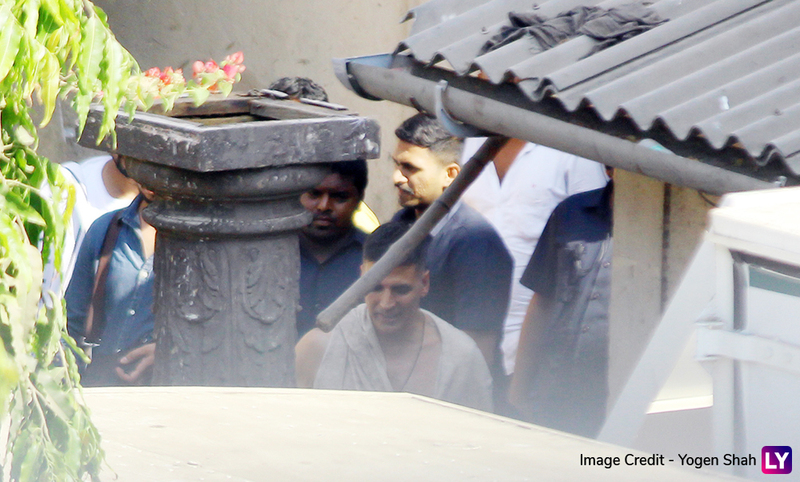 Akshay Kumar can never fail to amaze his fans! The handsome hunk is not only a fitspiration guru for his fans, but also impresses them with his natural acting. Akki is right now basking the success of his period drama, Kesari. Now, he is juggling between multiple interesting films. However, recently, a new of look of his leaked from the sets and the fans are busy guessing the project. Akshay Kumar Gives Fitness Lessons to Daughter Nitara and You Might Want to Take Notes From Khiladi Star - Watch Video. 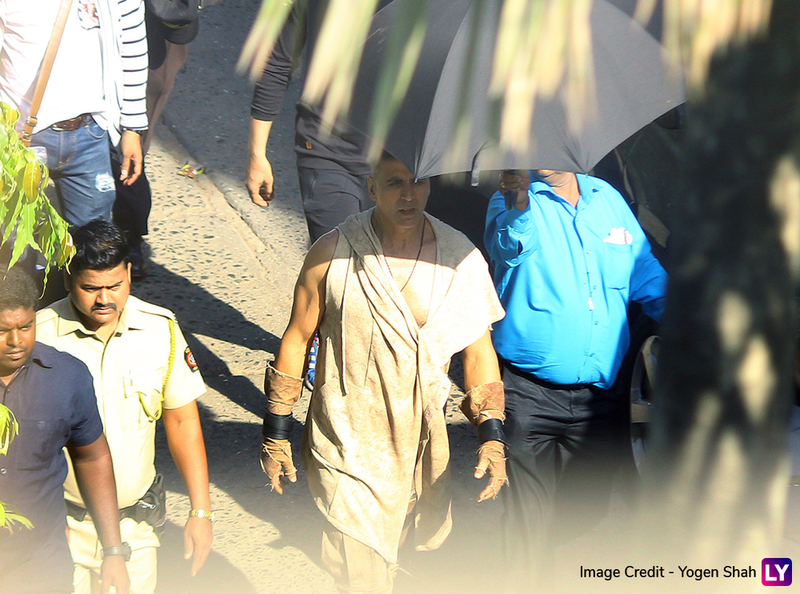 Khiladi Kumar was seen in an off-white baggy outfit. It looked soiled and torn and definitely this look is from one his characters. It is not certain whether it was for his film Good News or some other film. It also might be from the an ad project. There are no details out on this project yet but the look sure looks one hell of the interesting ones! Here, check out the pictures below and guess yourself. 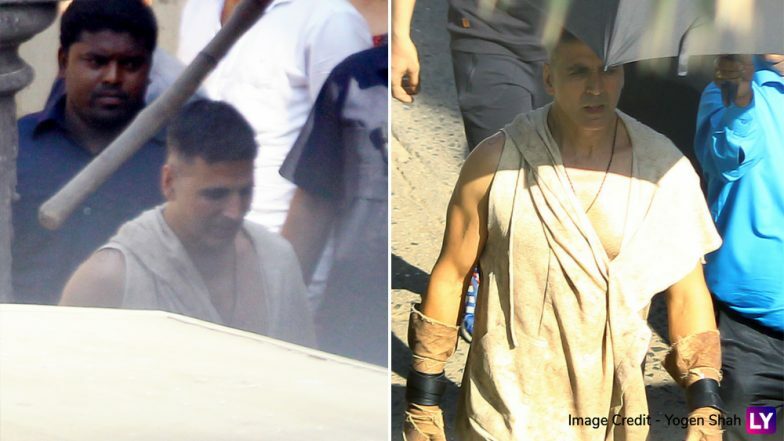 Akshay Kumar's leaked pics from the sets. Meanwhile, he is too immersed into a bag of films that have taken the excitement level of the fans sky high. He has Good News, Housefull 4, Mission Mangal majorly in his hands that are much-awaited ones that are touted to make a mark on the ticket windows. Coming back to these pictures, can you gauge where are these from?